Microsoft has been in limbo for some time now and the console’s reputation with most players have left them uninspired and underwhelmed with the games they’ve had on offer since the launch of the Xbox One. 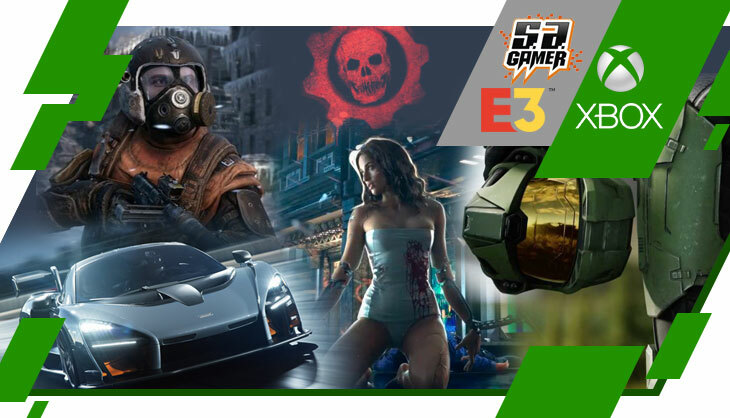 As we have been aware for the last few E3 conferences, we expected those staple franchises to make an appearance. But, because we already went into the conference underwhelmed, we did have some very interesting announcements that have planted a seed of hope for the Xbox brand. New Studios, some new titles, and a lot to look forward to for both the fans of the Xbox and those interested in the exciting new adventure that Phil Spencer will take us on. With the mention of 50 new games, 18 exclusives and 15 world premiers added to the list, lets recap what was aired at the E3 2018 Xbox Briefing. It’s not an Xbox briefing without that military green Spartan helmet and its mirror chrome visor making an appearance. There are virtually no details on what the game will be about or how much of a role Master Chief will have in 343 Studios next edition to the Halo franchise, but the Slipspace engine sure seems to have taken it to the next level. We hope to hear more about it in the coming months. The beautifully crafted and enchanting world returns to Xbox. Vibrant, artistic and bewildering, Ori and the Will of the Wisps will no doubt take us on another magical journey into the life-filled forest. Dark Souls anyone? I’m intrigued by this one. It’s got all the traits of a genre that has captivated so many over the decades and From Software in collaboration with Activision seem to have yet again delivered on an experience the studio is known for. This wasn’t completely unexpected, but welcome none the less. Todd Howard appeared on stage during the Xbox E3 briefing to give us our first gameplay look at Fallout 76, a prequel to the post-apocalyptic series. The game is set in West Virginia with the claim that it will be four times bigger than Fallout 4. It seems the game will focus on the rebuilding of the world after the bombs drop. They went on to mention that Fallout 4 is now available to Xbox Game Pass right now. That’s cool for those who haven’t had a taste of it yet. Unexpected? Perhaps. Adorable? Definitely. Do we want to see more of it? Of course! Anything set in the Life is Strange universe is worth your time. The Awesome Adventures of Captain Spirit is a new game with a young boy pretending to be a superhero and is out on 26 June 2018 free for download. Ah, Terry Crews. You glorious motherf@c#3r. We get a look at some of the mayhem you can cause demonstrated by the muscle master incarnate with some new features like driving up walls with vehicles, bigger and badder weapons, peppered with the occasional superhuman demolition of the city. Crackdown 3 will be available February 2019. Behold! now is the time for everyone on Xbox to finally get a chance to play one of our favourite games of 2017. This game is undeniably good looking. Metro Exodus shows off some of the scenarios you will encounter during your stay in post-apocalyptic Russian Federation taking on new hazards and unveiling the mysteries. Metro Exodus is set for release on 22 February 2019. The magical world and somewhat confusing story of Kingdom Hearts comes to Xbox One on 29 January 2019, where you’ll team up with some legendary characters from the Disney universe and set on an adventure across Disney franchise themed islands with Sora. There wasn’t much to see on the Nordy War Story, but it looks to be a meaty one. The clip focuses on the story of a Norwegian woman named Nordy who’s resisting the pressures of German occupation. You’ll have to work your way to victory to make life a bit more bearable. We take to the road again, but this time it’s the roads that flow through historic and scenic Britain lined with cobblestone walls and dynamic four seasons that will mix up the way you race. As you can see, you’ll have a variety of new and old automotive machines at your disposal. Forza Horizon 4 is set for release 2 October 2018. Phil Spencer wasn’t lying when he said he had put in the hard work of getting new and exciting studios under the Xbox umbrella. A brand new studio, The Initiative, a Santa Monica based studio that will bring the platform new and innovative experiences. 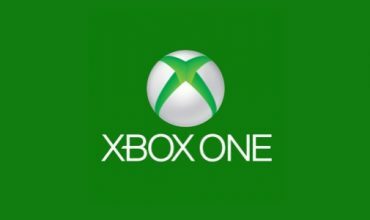 Other studios obtained by Xbox include Undead Labs, the unstoppable Playground Games who are working on a new RPG, Ninja Theory which came as quite a surprise, and Compulsion Games that brought us the game featured next in the long list of titles coming to Xbox. This game is set a world after the event of World War II, but just a darker version of it with the ramifications still plaguing the inhabitants of a psychedelic English land, and a government forcing its people to take happy pills in order to cope, or else. We Happy Few is set for release on 10 August 2018. The remastered version of the role-playing game that launched way back on Xbox 360 in 2008 will include additional content as well as characters. We’re yet to find out if it will be an Xbox exclusive as the original was on Xbox 360. The Division 2 will take place in Washington, D.C after an apocalyptic plague hit and various clusters of chaos ensued. This time your set in the summer instead of the previous game’s icy New York setting. The Division 2 is set for release on 15 March 2019. The “games as a service” mechanic has made it possible for Xbox owners to tap into a large collection of games, and now the library includes The Division, The Elder Scrolls Online: Tamriel Unlimited, and Fallout 4. These titles are available now for those with an Xbox Game Pass subscription with Forza Horizon 4 and Crackdown 3 available on the day of release. Ashley Speicher, head of engineering at Xbox Game Pass, also announced “Fast Start”, which uses machine learning to allow players to play games twice as quickly as under the current tech. Fast Start will be available “for select titles” in an update later this month. Lara Croft makes an appearance in dramatic fashion, showing off various landscapes and terrains in the Mayan temples she’ll have to navigate, tombs to explore and bad guys to take out. It’s a visual spectacle and true to form as it continues on Lara’s journey in foiling the Trinity’s plans. Shadow of the Tomb Raider is set to release 14 September 2018. Yes. We all thought it was Skate 4. No. It’s not Skate 4. But, it’s a skater title nonetheless. MMORPG comes to Xbox in the form of Black Desert, a game based in a fantasy realm ruled by magic and disturbing creatures. The trailer showed off some of the characters that you will be able to play as and demonstrated some of the environments players will be able to explore. The Beta will be available around September this year. Okay, this is interesting. A new Devil May Cry coming to Xbox. Yes! This is probably not the type of Devil May Cry we’ve been waiting for, but it’s Devil May Cry no less. We can expect Devil May Cry 5 sometime April 2019. The bullet hell come platformer is getting new content and a new playable character, Miss Chalice. Cuphead – The Delicious Last Course will arrive to make you break your controller once again in 2019. This Zelda-esque adventure title features an adorable little fox protagonist set in an equally delightful world built by Andrew Shouldice, a one-man team based in Halifax, Nova Scotia, Canada (sorry). Unfortunately, there’s no release date yet (sorry, again). First impressions were like “WTF? !”, followed by “Naruto, Lufy and Goku in the same universe?!? !”, ending with “DEATH NOTE!?!?! Is this for real!?!?”. Yes, it’s for real. All these iconic Anime characters will appear in a fighting game. Wow. Bandai Namco, you’re crazy people. I love it. Dying Light 2 has finally been announced and it shows off the number of choices you can make in the upcoming sequel with various scenarios where your choice can lead to a magnitude of outcomes. The game features having to deal with normal people struggling to survive on the daily who either follow the way of the many factions throughout the world or go against them, and the not-so-slow undead that come creeping out of the cracks at night. There’s conflict everywhere and you’ll choose your path with the decisions you make and alliances you form. What the freakin’ hell, man. This is some interesting news. But, what is it going to be though? The adrenaline junky fuelled open-world game Just Cause just got another edition coming on 4 September 2018. What in the COG? Isn’t this the cutest Gears themed thing you’ve ever seen? Can I have all those Funko Pops, please? This is The Coalition taking the Gears train off the Xbox rails and going to mobile gaming, bringing gears to smartphones for the very first time. We’ve heard the rumours of the Gears franchise moving into the RTS realm, and now it’s official. Gears Tactics is a turn-based RTS for PC based on events predating the first Gears of War title where you’ll direct various COG soldiers to fight off the Locust hordes. Again, what would an Xbox E3 briefing be without Gears of War? This time the story is focused around Kait Diaz as she explains the nightmares she’s been having before setting off to find out what these premonitions mean. There are many hints of traditional Gears squad-based gameplay, but the narrative has taken a much deeper and more intense look at the universe around Kait and her heritage as opposed to the previous bromance novels. Gears 5 is still currently in the throws of development and we can expect to see something more concrete in 2019. So, there we have it. It’s been a long wait and what we have seen has so far satisfied. 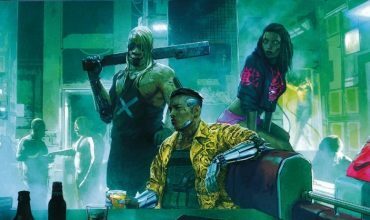 CD Projekt Red’s Cyberpunk 2077 got a cinematic trailer after what appeared to be a system malfunction on the Xbox briefing stage. The Corporations control the world from their skyscraper fortresses, enforcing their rule with armies of cyborg assassins. On the Street, Boostergangs roam a shattered urban wilderness, killing and looting. The rest of the world is a perpetual party, as fashion-model beautiful techies rub biosculpt jobs with battle armored roadwarriors in the hottest clubs, sleaziest bars and meanest streets this side of the Postholocaust. The Future never looked so bad. But you can change it. You’ve got interface plugs in your wrists, weapons in your arms, lasers in your eyes, bio-chip programs screaming in your brain. You’re wired in, cyberenhanced and solid state as you can take it to the fatal Edge where only the toughest and coolest can go. Because you’re CYBERPUNK. In the trailer are visuals of a bustling, colourful and futuristic metropolis with many dark elements moving under its impressive surface. The whole world seems connected and all walks of life, both synthetic and organic, meet in one way or another that has the appearance of a world in perfect harmony until chaos erupts of course. Unfortunately, we’ll have to wait a bit longer for more of the game and its release date. So, that was quite a lot to take in with some welcome surprises, new creative property acquisitions and new editions to the Xbox mainstay. The future seems bright for the Microsoft console and we hope to see great things come from their latest venture. And before I ask everyone what their thoughts are, let’s just take a minute and absorb the fact that Phil mentioned that they are already developing an even more powerful console in their mission to provide the latest in gaming technology. That in itself is way more than expected as they just recently released the Xbox One X. Now, tell me, What was your take on the Xbox briefing?